In the late nineteenth century, general-interest magazines began to reach an unprecedented number of readers and conveyed to those readers diverse messages about the meaning of masculinity in America. Over the next fifty years, these messages narrated a shift from Victorian masculinity, which valued character, integrity, hard work, and duty, to modern masculinity, which valued personality, self-realization, and image. In Creating the Modern Man, Tom Pendergast studies the multifaceted ways that masculinity is represented in magazines published during this transitional period. Pendergast focuses on the rise of mass consumer culture, demonstrating that consumerism was a key factor in reshaping American notions of masculinity as presented in popular magazines. Whereas much scholarship has decried the effects of consumerism, Pendergast treats consumer culture as an energizing force in the American magazine market. He suggests that such magazines offered men new and meaningful visions of masculine identity and argues that men actively participated in restructuring the masculine ideal. Engaging a wide range of magazines from American Magazine to Esquire to True, Pendergast demonstrates how these publications presented masculinity in ways that reflected the magazines' relationship to advertisers, contributors, and readers. This fascinating study includes such African American magazines as the Colored American, Crisis, Opportunity, and Ebony. Pendergast reasons that the rise of modern masculinity opened the way for African American men to identify with normative masculine values. As white men reinvented the idea of the "self-made man" for a new era, black men struggled to negotiate a meaningful place for black masculinity in a culture intent on denying them access. 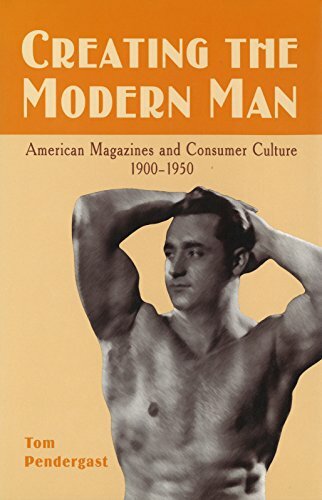 The first complete investigation of the representation of men in American magazines, Creating the Modern Man makes an important contribution to our understanding of these publications, both as elements of mass culture and as interesting institutions in their own right. Pendergast takes readers inside the complex world of magazine publishing, demonstrating how magazines slowly yet surely help create the cultural images that shape societal gender roles. If you have any questions about this product by University of Missouri, contact us by completing and submitting the form below. If you are looking for a specif part number, please include it with your message.